Injuries are not too uncommon in the entertainment industry, especially in the field of production. If you are just starting out in the business of film production, you may not be familiar with the various insurances available to you. 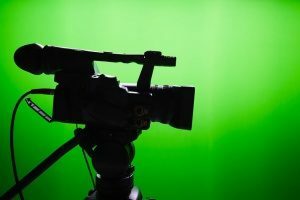 Production insurance is a staple in filmmaking as it protects the filmmakers, film crew, producers, actors, and production gear from costly liability claims. As no two films are the same, insurance brokers are there to help tailor your insurance policy to meet your unique needs. Learn more about production insurance, who should get it, the benefits, and where you can purchase it. In short, film production insurance is designed to protect your production project or company from certain liabilities, such as on-site injuries, accidents in working vehicles, and loss or damage of owned or rented equipment. Depending on the policy, some types of production insurance also protect producers from copyright infringement claims. You can find product insurance policies with various terms and at costs that fit all budgets. What works for one entertainment company may not work for another. Therefore, it is important to personalize your policy with the help of an insurance broker. When it comes to film production insurance, there are two main types you will want to look into: short term production insurance and annual production insurance. Short term production insurance is designed for productions completed project by project. This type of insurance can cover as little as one day of production or can last several weeks. If you plan just one production that is set to be completed quickly, then short term production insurance may be the right choice for you. If your production company plans to films many times throughout the course of the year, then an annual policy may be a better option. Annual production insurance covers all the films you are working on at the same time. This type of policy is more common among active production companies. Annual coverage is best suited for companies that own their own equipment that they may rent out to productions, companies with four or more productions a year, or companies that are producing an independent film. If you are not sure which is right for you, talk to an insurance broker and get a quote for both types. What Risks Are Associated with Production? Whether you are a hobbyist or professional production company, you may be wondering what risks you could be facing during your projects. One of the biggest risks is that of loss or damage. As a production company, you probably have thousands of dollars invested into your video and audio equipment. If your entertainment equipment becomes damaged or lost, it can put a major financial strain on your business. Production insurance can help you protect your investment in the event of a loss, theft, or damage. Another concern when in the business of production is liability. While making videos, there is always a risk that an injury will occur no matter how safe you try to be. Whether it is an actor tripping over a prop which caused a torn ligament or a fall from a ladder which caused a broken bone, you never expect these types of injuries to occur. On-set injuries can be concerning due to the high cost of medical bills, as well as the cost of lost wages and pain and suffering. Having film production insurance can help ensure that you remain protected in the event of an on-set injury. What Should Be Included in Production Insurance? As a professional production company, you will want to read through your policy carefully to ensure that it includes everything you need to protect your investment. While policies can greatly vary, most will include general liability. General liability covers both property damage and bodily injuries that may occur during the course of filming. It is important to note that the cast and crew are not covered under general liability insurance. For proper coverage for these members of your team, you will need to invest in a separate workers compensation policy. You will also want to invest in a production package which covers a variety of things. From cameras to lighting gear, having coverage for both rented and owned equipment is a must. In addition to equipment coverage, a production package covers props, sets & wardrobes, rented vehicles, cast extra expense, fine arts, jewelry, loss of use etc…. You’ll also want to be sure that your workers compensation insurance protects your employees while on the job. If you hire independent contractors, you may also want to consider adding these individuals to your policy. Workers compensation policies can cover pay-rolled cast and crew, as well as 1099 paid freelancers and volunteers. It may also cover your working crew during periods outside of general production. It should also protect your employees in the event of an injury on the job, including their medical bills and loss of work benefits. If you working on a project that is set to be distributed for profit, you will also need to invest in errors and omissions (E&O) insurance. With E&O insurance, you are protected from harm if there is an issue with the content later on. All broadcasted programs, theatrically released films, and television programs require E&O insurance. 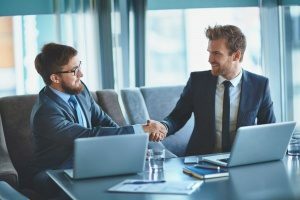 E&O insurance may help pay for a wide range of lawsuit expenses, such as lawyer fees, court fees, settlements, judgements, and administrative costs which can add up fast. Some production companies wonder if they really need insurance brokers when shopping for insurance. The short answer is yes. However, know that not all insurance brokers offer the same level of service. You will want to choose a broker who has experience in the entertainment business and on production policies in particular. Entertainment insurance brokers know how to best “package” policies to ensure that you have the coverage your business needs. When speaking to your insurance broker, be sure to present all of the details of your production so that he or she can get you the ideal package. If you are ready to get started, contact an insurance broker today. Previous Post: « What Type of Insurance Do I Need for My Festival?